If it’s been a while since you’ve had your car’s oil changed, plugs replaced, or tires rotated, you might want to bring it in for a tune up Walnut Creek drivers rely on. We’ve been in the auto business for over 30 years, servicing cars in Walnut Creek, Lafayette, Orinda, Concord, Moraga, Danville, and Pleasant Hill. When was the last time you brought your car in for a tune up? Walnut Creek drivers know not to wait too long when it comes to having their car serviced. For your car to maintain reliably as well as dependability, you should schedule regular car maintenance based on the manufacturer’s specifications. This could mean every 3,000-6,000 miles or more, depending on the make and model of your car. As a general rule, all cars will maintain a healthy life with some quality TLC. Our experienced, dedicated, and certified team of mechanics and auto technicians provide skilled car maintenance services. 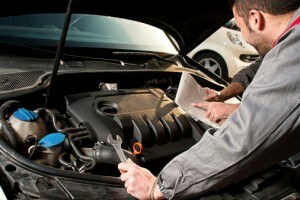 Our complete maintenance includes an oil change, filter replacement, up to 5 quarts of Kendall GT-1 motor oil, test drive (to make sure nothing sounds unusual), 30 point safety inspection, tire rotation/ inspection/ inflation, battery test, a top-off of all car fluids, and a chassis lubrication. Our number one priority is providing our customers with satisfaction and safety, which is why our complete maintenance service is so extensive. For quality auto repair and a convenient place to get a tune up, Walnut Creek drivers come to us. We service nearly all makes and models of cars, including classic cars! Give us a call today with any question you may have, or make an appointment with us online. We offer web specials on some of our services, be sure to check!